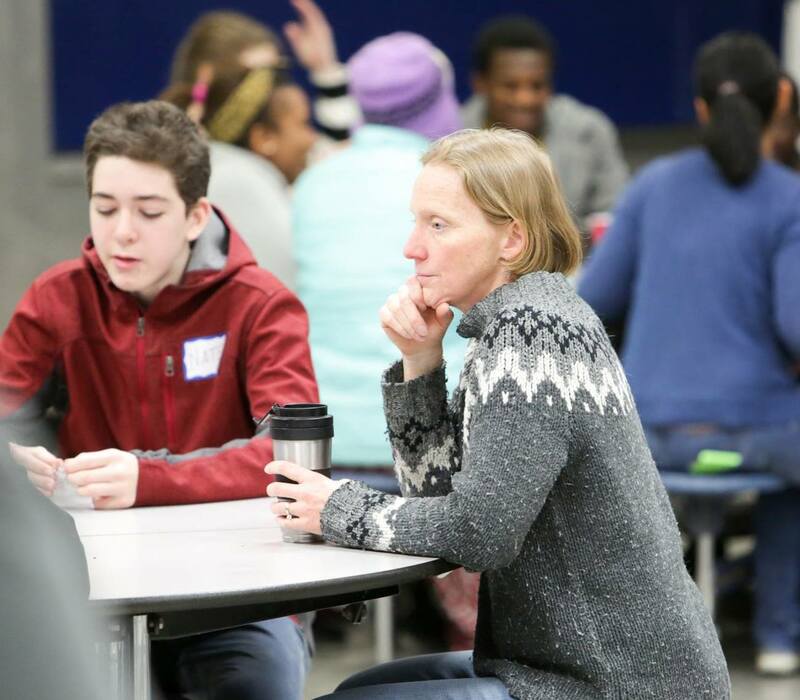 The BSD community is cordially invited to weigh in the on the hiring process for open and anticipated principal positions within Burlington School District. We are also looking for input into the hiring of a new program director for Horizons and OnTop. We have created a survey looking for feedback on each of the specific positions and will look to hold community sessions with the candidates for the positions. Please see below for more information on the search… JOIN THE JOURNEY! There are currently three elementary principal positions that are either open or anticipated to be open. These positions are at Champlain Elementary, Integrated Arts Academy, and the Sustainability Academy. The school district is taking a proactive approach to hiring these positions, and we are moving forward preparing for the possibility that all three positions will be open and will need to be filled for the upcoming school year. A Search Advisory Team (SAT) comprised of representatives from various roles within the District and each of the three schools will lead a combined search for these positions. The team will review application materials and conduct interviews with qualified candidates, and will select some of these candidates to move onto the next round of the process: Staff and Community Forums. After the forums, the SAT will reconvene and present a final list of candidates for consideration to the Superintendent. Final hiring decisions and assignments are ultimately made by the Superintendent, who then assumes the greatest amount of accountability to the performance of these new hires. One of the easiest and most helpful ways you can be involved in this process is to complete our “Principal Profile” survey. These profiles are designed to learn what you think are the specific needs at each school. Our Search Advisory Team will review each response and use what is learned to craft questions for both the interview and community forum portions of the process. Champlain: Please take this survey today to help us understand your thoughts on the Champlain community’s needs. IAA: Please take this survey today to help us understand your thoughts on the IAA community’s needs. SA: Please take this survey today to help us understand your thoughts on the SA community’s needs. Community and Staff Input Forums: April 1st! Candidates will share more about who they are, their teaching and administrative philosophies, and why they want to work in Burlington School District. In addition, candidates will have a chance to answer questions submitted through the Principal Profile surveys and will participate in a meet and greet with refreshments provided by Burlington School Food Project. Interpretation services and childcare will be available for the community forum. Dr. Shaun Johnson has been an educator for nearly 20 years, teaching and leading across the entire K-12 spectrum, in a variety of community contexts, and in independent, charter, and traditional public schools. After earning a PhD in Curriculum and Instruction from Indiana University in 2009, Shaun spent four years as a tenure-track assistant professor of elementary education at a large public university in Maryland, focusing primarily on mentorship and coaching intern teachers, in addition to methods and scholarship in the social studies. Also during this time, Shaun became a forceful advocate for public education more broadly, writing and speaking with various activist groups on behalf of equity and justice in our educational system. This shift in advocacy was the primary motivation for his sharp turn back to the classroom, teaching Kindergarten for four years at an elementary school in Southeast, Washington, DC. After earning administrative credentials at Johns Hopkins University, Shaun is now directing all teaching and learning for a startup independent school in Washington, DC that emphasizes experiential and mastery-based learning for students in K-12. In addition to writing broad swaths of curriculum for the entire K-12 spectrum and coaching teachers, Shaun also teaches an Indigenous US History course, elementary level computer science, and leads student projects in various interdisciplinary units. On a personal note, Shaun is an avid reader of science fiction, lifelong ice hockey player, and competitive amateur boxer. Jim Kelley is currently in his second year as the Assistant Principal at Lyman C. Hunt Middle School in Burlington, Vermont. Prior to this experience Jim taught 7th/8th grade science at Edmunds Middle School for 11 years. He has also taught science and math at Colchester Middle School and chemistry and advanced biology at the White Mountain School in Littleton, New Hampshire. In addition, Jim was the Director of the Tibetan Resettlement Project-Burlington. Jim earned a Master of Education degree from St. Michael’s College in School Leadership and his B.A. from Middlebury College. He lives in Burlington with his wife Yangchen, two children Tenzin and Sonam who attend Burlington High School, and their dog Chipper. Jim is passionate about helping all students learn and grow to their full potential. Nina Oropeza is an educator whose purpose is rooted in expanding educational opportunity for all students. She has a decade of experience working in a diverse set of schools across the country from the U.S.-Mexico border in Texas to Washington D.C. and most recently, Boston, Massachusetts. A native of Salinas, California, Nina first became aware of educational inequity through her own experiences as a student. She witnessed disparities in her own schooling between classmates from different ethnic, racial, geographic, and socio-economic backgrounds. Nina’s career in education began as a classroom teacher in a school located on the U.S.-Mexico border. Living and working in this setting cultivated Nina’s appreciation and love for communities that embrace multiple languages, cultures, and customs. During this time, Nina also served as faculty sponsor of the Earth Club, as the girls basketball coach, and as the coordinator of a spring break trip for students to visit colleges in the Boston area. After teaching high school, Nina transitioned to teaching elementary school in Washington D.C. As the first-grade team lead teacher and a member of the instructional leadership team, Nina annually exceeded school goals in supporting her students to achieve growth and proficiency targets. In these roles, she also coordinated school-wide family and community engagement events. Nina then transitioned to district-level leadership, serving as the Director of Design for D.C. Public Schools in Washington D.C. In this role, she led teacher leadership and professional development programming across the district’s 115 schools. Nina worked to collaboratively design a new framework to support teachers – shifting away from a focus on evaluation and towards a system of school-embedded support. Currently, Nina serves as principal-in-residence at a Boston area elementary school. As a principal-in-residence, Nina shares responsibility for the instructional and operational functioning of the school. This fall, she served as the principal-in-residence at a dual-language (Spanish-English) school in Boston. Nina is also currently completing a master’s degree in School Leadership at the Harvard Graduate School of Education. Nina enjoys gardening, camping, hiking, playing with her dog, baking bread, and spending time with her partner who is a proud UVM alum. Nina has a B.A. in Social Welfare and minor in Education from the University of California, Berkeley as well as an M.Ed. in School Leadership from the Harvard Graduate School of Education. Joe Resteghini hails from the hills surrounding Newburgh, New York. Joe and his wife Mercedes moved to Vermont in 2000, to pursue his career as a teacher. Joe began his career as a physical education teacher, but quickly transitioned to the classroom, teaching third and fourth grade for eight years. For the past seven years Joe has been the principal, preschool director, instructional, and community leader at North Hero School. With a strong belief that if “students love the place where they go to school, and love their teachers they will be more engaged in learning,” is the basis for Joe’s philosophy as to crafting experiences for students. Strong relationships, an appreciation for all learning styles, dedication to achieving success for every student are the foundation for good schools. Schools play a vital role in the community and it is the principal’s role to ensure that communication is available in ways that families best receive it, the door to the office is always open, and we are always focused on growth and opportunity for our students. Joe and Mercedes have two children: Indiana 10, and Roxanne 8. It is an honor to have the opportunity to introduce myself to students, parents, and teachers of Burlington School District and to the community of Burlington, Vermont. Over the past twenty-five years, I have had the professional pleasure of working within the field of education supporting the learning needs of students. Eighteen years of my professional experience has been in leadership roles in large urban, small rural and international educational settings. My aspirations have been to make a positive impact in the lives of students as an educator. My daily interaction with students has offered an insight into the vast differences between students’ approaches to learning, personalities, and talents that has helped to shape my philosophy of education. I spent considerable amounts of time reflecting with colleagues, taking educational courses, and engaging with students for professional empowerment. It became evident to me that it was important for an educator to understand the appropriate instructional delivery methods for subject content but equally as important to understand how to facilitate opportunities for students to apply and adapt lessons learned from subject content into creative, problem-based scenarios. I have a strong desire for continuous learning and ongoing professional growth along with an appreciation for collaboration with colleagues and for sharing best pedagogical practices. My ability to build positive relationships and productively engage with people in a constructive manner to achieve measurable goals, while using sound judgment for making decisions, has been highlighted as one of my strengths. I am a very people-oriented person, and I strongly believe in the effective use of teamwork and collaboration to maximize the talents of each individual on a team. I work diligently to create environments of shared decision-making that allow students, parents, faculty and community members to actively engage in the learning processes impacting students’ academic, social and emotional development. I am committed to the betterment and empowerment of students’ scholastic aptitude, as well as their overall attitude in becoming productive members of our society. On a daily basis, I take great pride in being a positive role model for the young people whom I work with as an educator. My parents have consistently instilled within me the importance of building strong connections, demonstrating commitment, and being of good character. As a family, my wife and I have sought to instill similar values in our three sons and two daughters. It is my hope that I will be able to become a proud member of your community and help to make a positive impact as we work together to provide experiences that teach the students of Burlington School District to become responsible and respectful citizens that will continue the proud traditions of The Green Mountain State. I look forward to having the opportunity to meet you and begin building productive relationships soon. Thank you and I wish each of you the very best as this school year draws to a close and you prepare for your summer vacations. One of the easiest and most helpful ways you can be involved in this process is to complete our director profile survey. These profiles are designed to learn what you think are the specific needs at each school. Our Search Advisory Team will review each response and use what is learned to craft questions for both the interview and community forum portions of the process. Please take this survey today to help us understand your thoughts on the needs of OnTop and Horizons. Candidates will share more about who they are, their teaching and administrative philosophies, and why they want to work in Burlington School District. In addition, candidates will have a chance to answer questions submitted through the profile surveys and will participate in a meet and greet with refreshments provided by Burlington School Food Project.